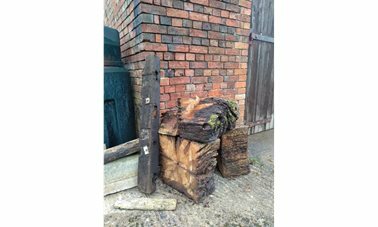 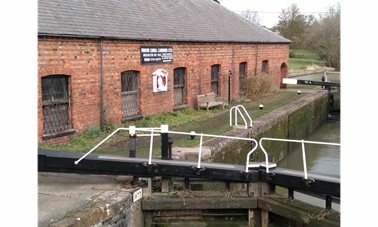 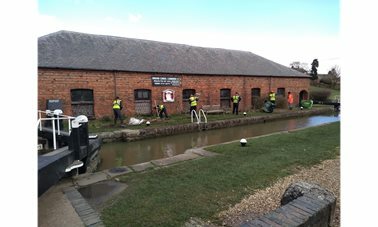 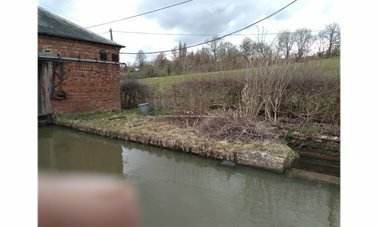 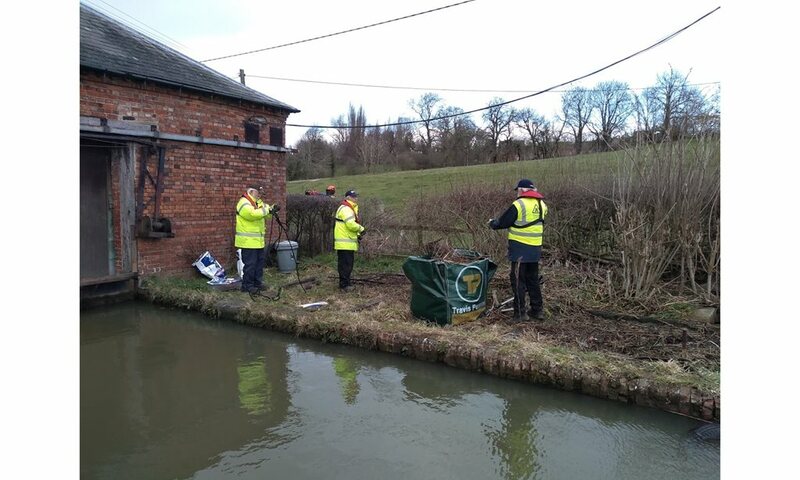 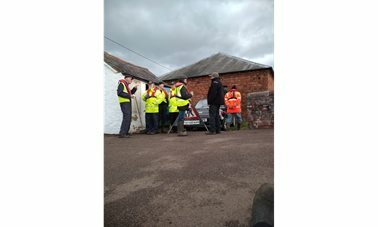 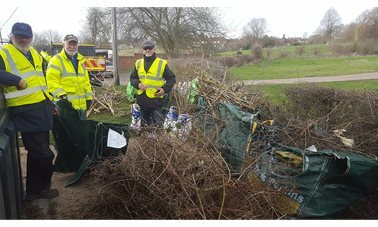 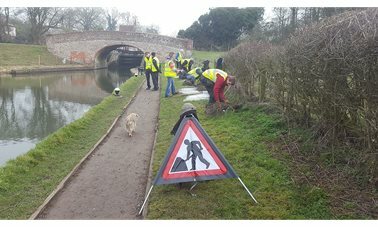 Dry dock makeover 15 Mar 2019 (Braunston Canal Society) The vegetation around the dry dock at lock 1 controlled. 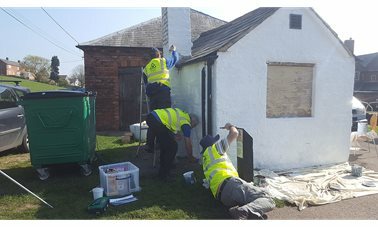 The original plan of painting the lock keepers hut at lock 1 was thwarted by inclement weather so BCS enacted plan B. 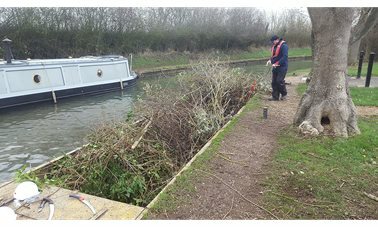 The vegetation around the dry dock was cut back and the area tidied up. 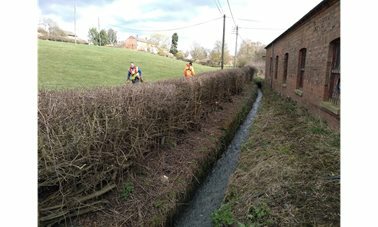 This included removing a large piece of oak (part of a balance beam) that had to be cut into three with a chainsaw before it could be lifted out of the bypass weir. 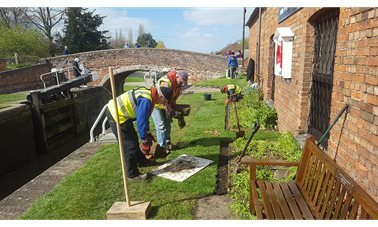 The flower beds were dug back ready for the placement of edging boards and turf at a later date. 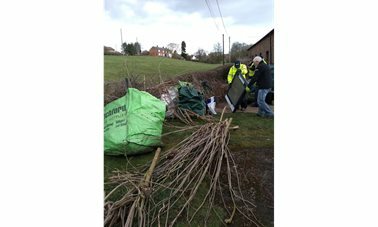 At the end of the day eight 'one-ton' bags of brash and much else was loaded onto the truck with the help of Brian Eales from CRT.